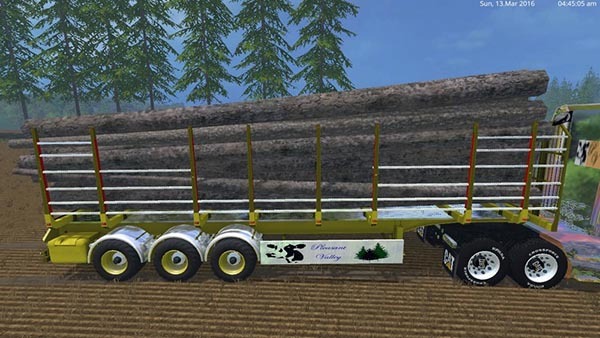 I have Constructed of auto loading log trailer did is dyeable. You can choose Which Side to load / unload your logs on. Have added traction for tires and havealso made ? ?it so They Do not slide out, but you can shut spill them, but that’s ok Because You just autoLoad the, back up. 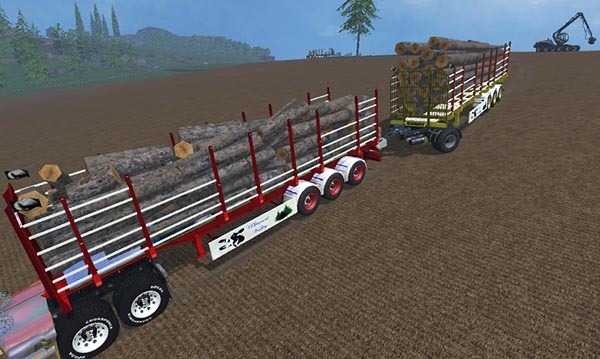 Will take 12 meter long logs or short 1 meter pieces with ease. Has a hitch on back for dolly and sidelights and side signal lights. I have three version available, this is my Chrome Edition. Das ist einer der besten Mods, die ich kenne!! !